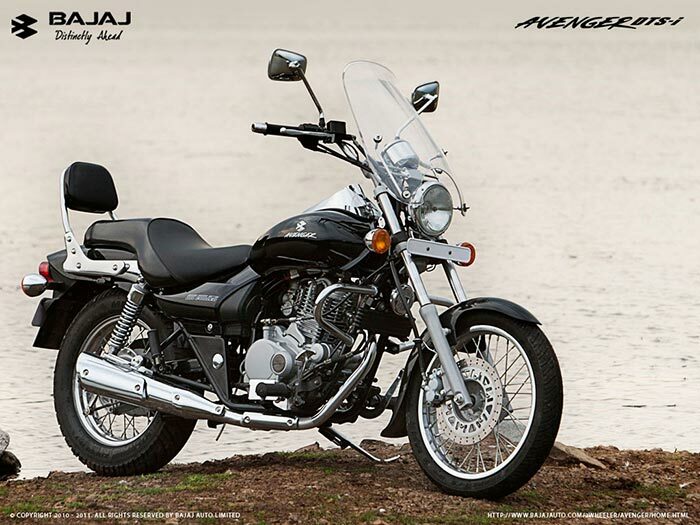 Popular Indian 2-wheeler auto maker, Bajaj is going to launch brand new range of Avenger bikes today in Mumbai. Just not one avatar of Avenger, there will be 3 different forms of Avenger which is going to be unveiled today. We will be also covering about this launch event today in our website by 11:30 pm onwards ! Out of total three variants of Bajaj Avenger bikes, there will be two 220 cc bike models and the third model of Avenger is going to be powered by 150 cc engine. The all new Bajaj Avenger Cruise 220 will be the mid-level variant that is expected to come with features like spoke wheels, chrome front fender and various other shiny elements. The new top-end Bajaj Avenger Street 220 is going to come with black alloy wheels, black finish for the engine and other cycle parts, exclusive tank decals as well. Talking about the appearance of the bike, there shall be no significant visual changes to the cruiser which is currently available only in 220 cc engine option. With the new Bajaj Avenger bikes on board, the company is looking to increase the monthly sales volume from the current 4,000 units to 9,000 units.